Business owners, rest assured, at JanTech Pest Control, we’ve got a solution to your pest control needs. Every business is different, whether it’s a restaurant, office building, an apartment building or other multi-family dwelling. We understand the importance of pest control when it comes to your customers’ and clients’ health and safety as it pertains to pest control. If you have an issue with bugs, roaches, mice, or other type of pest, don’t hesitate to contact us. We will arrive onsite in an unmarked service vehicle in uniforms that don’t give away the nature of our business. Your privacy is of utmost importance to us. At JanTech Pest Control, we will discreetly, efficiently, and effectively rid your business of any unwanted pests and will work with you to ensure your business is pest-free for months and years to come. Pest control is an ongoing process and earning your business will result in a long-term partnership in the fight against unwanted pests. 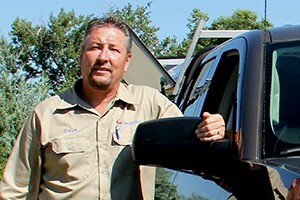 Jan Tech’s technicians are highly qualified and are eager and waiting to assist you with your pest removal process. Take a moment now to review some of our service offerings to determine which will best suit your needs. JanTech will employ expert solutions to rid your business of unwanted pests. This includes initial inspections for insects such as mice, termites, bed bugs, black widows and other harmful creatures. We will perform not only exterior treatments, but also interior and perimeter barrier treatments as well. JanTech will also provide you with helpful pest prevention and ongoing maintenance tips to ensure your business stays free of pests. Whether your business is large or small, our commercial pest control services are designed with you and your customers in mind. JanTech: Discreet. Efficient. Effective.